SGI presents Monopoly on the Money Slot at Vegas Spins. It is a 5-reels 10-paylines slot created by SGI. It is playable on all desktop, mobile and tablet devices. Make the most of Free Spins, Re-Spins and other fun bonus rounds. Monopoly on the Money Slot is based on the classic and popular game, Monopoly. Matching with the theme, the following symbols appear on the reels: Monopoly on The Money Logo, Hat, Cat, Dog, Large Stack, Small Stack, Medium Stack, 10, K, Q, J and A. Adjust your stake using the Plus and Minus buttons on the Total Bet field. Enjoy a number of automatic spins with the Auto Play feature. After placing your bet, hit the Spin button and form winning combinations of 3 or more of the same symbols from left to right. Amount of Paylines Selection: Ten paylines are fixed and cannot be modified. Coin Values: Coin values range from £0.10 to £500.00. The wild symbol on Monopoly on the Money Slot is represented by Mr Monopoly. It replaces all other symbols. The GO symbol stands for the Scatter and helps to trigger the Free Spins Feature. Three, four and five Scatter symbols activate 8, 20 and 50 free spins, respectively. At the start of the free spins, you can either gamble to earn more of them or collect them. The maximum amount of free spins you can gamble is 25, however you can play an unlimited number of gambles. During the Free Spins feature, Mr Monopoly can appear anywhere on the reels and award a cash prize. Earn up to 1x, 5x or 25x your stake value with 3, 4 or 5 Mr Monopoly symbols. The Big Bet game mode consists of 5 linked spins for higher stakes. During Big Bet, all the playing cards award up to 20x your wager. For 5 of a kind, the Medium Stack Symbol pays up to 40x your wager. Similarly, the cat, dog and hat symbols award a maximum of 100x, 100x and 200x your wager, respectively. The Monopoly on The Money Logo is the highest paying symbol, awarding 400x your stake for 5 of a kind. £20 Big Bet: It consists of 5 linked spins with scatters acting as wilds. These remain sticky even if the Free Spins Feature is active. £30 Big Bet: 5 linked spins which include scatters acting as wilds and sticky when Free Spins are triggered. Two scatters trigger the Red Hot Respin Feature, awarding an extra spin. 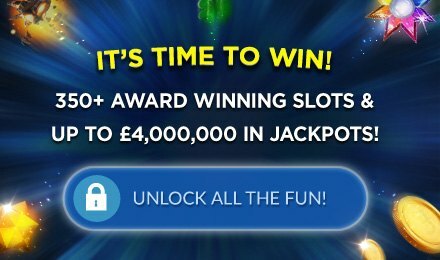 Trigger the Chance Card Bonus Feature which lets you pick one out of 8 cards to reveal either a cash prize and additional free spins, or the end of the feature. £40 Big Bet: 5 linked spins consisting of features from the £30 Big Bet and the House Extension Feature. Reels are also extended to provide more winning opportunities. £50 Big Bet: 5 linked spins along with the features of the £30 Big Bet and the House Extension Feature. Plus, the reels also extend by 2 positions to create more winning possibilities.